Offering unprecedented design and installation flexibility, the rectangular shaped Firebox 1000DB stainless steel firebox can be front or back fitted, with or without an exposed flange, within custom cabinetry where viewing a fire from both sides serves two environments. 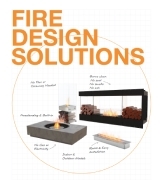 EcoSmart firebox inserts have been designed to adapt to a wide range of building materials and finishes, enabling you to create a traditional or modern façade depending on the interior design brief. 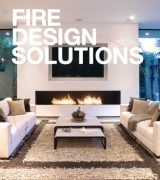 The Firebox 1000DB is a manufacturer approved surround for the BS EN16647 Compliant XL700 burner. 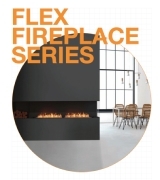 Self-contained, flue-less heating method makes them much simpler to install than gas or wood burning fireplaces. The Firebox 1000DB adapts to a wide range of building materials and finishes, from Colonial style homes to Neo-futurism architecture. No flashing, roof work or plumbing is required, significantly reducing installation costs and time. The Firebox 1000DB is fuelled by EcoSmart’s XL700 ethanol burner, which has a thermal output of 4kW. 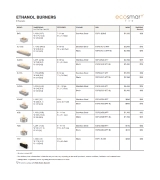 EcoSmart fireboxes are considered sophisticated pieces of fireplace furniture by discerning designers and architects.